S M Ong: Why would anyone pay $1 million to live in Queenstown? Why would anyone pay $1 million to live in Queenstown? A million bucks for an HDB flat? With that kind of money, I could hire 333 and one third dishwashers for my sushi restaurant chain. And the record-setting flat is in Queenstown? More specifically, Block 149, Mei Ling Street? That could've been my flat! I used to live in Block 158, Mei Ling Street – only less than 10 block numbers away. If only my family hadn’t sold our flat in the mid-80s, we could be sitting on a million-dollar gold mine today. So what if it isn’t an executive maisonette (it’s a two-bedroom unit) or 17 years old (it’s closer to 40)? I don’t know how much money my parents got from the sale, but it's safe to say it didn't make us millionaires. But having lived in Queenstown from when I was in kindergarten until I was a poly student, I still have fond memories of the area and visit every few years out of nostalgia – sometimes using Google Map Street View when I don’t feel like making the trip. But despite my lingering attachment to Queenstown, I have to wonder, is living in one of Singapore's oldest HDB estates worth $1 million? 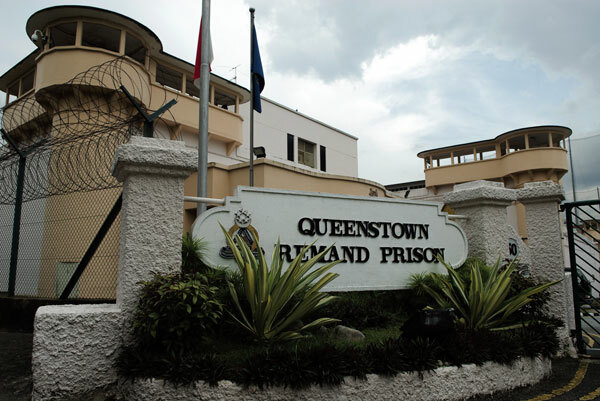 Yes, you’re near Queensway Shopping Centre – but then you’re also near the site of the former Queenstown Remand Prison, which was demolished a couple of years ago. It was said to be haunted. I bet the property agent never mentioned that. Yes, you’re near Alexandra Hospital – but then, I repeat, you’re also near a haunted former prison. Yes, you’re near Queenstown Sports Complex, which includes a football field, a running track and five swimming pools – but, oh, did I mention the haunted former prison? Yes, you’re near Ikea Alexandra, where the meatballs and chicken wings are nice – but then they’re not that nice. Remember the prison. Yes, you’re near Singapore's oldest public library, the 42-year-old Queenstown Public Library – but then it’s 42 years old. Yes, you’re near Queenstown Bowl, Queenstown and Queensway cinemas – but then they’ve been out of business and abandoned for over a decade. Yes, you’re near Golden City and Venus cinemas (I watched Battle For The Planet Of The Apes in one of them) – but then the buildings have long since been converted to churches and later also abandoned. So there are now no cinemas at all in Queenstown. Yes, you’re near Tah Chung Emporium, the Ion Orchard of its day (where I once mistakenly bought liquor-filled chocolate and wondered why it tasted so awful) – but then it’s now just flat ground. Yes, you’re near the Queenstown MRT station – but then if you think you can board a packed train heading east to the city during morning rush hour, prepare to be traumatised. You’d have (slightly) better luck if you board the train going the opposite direction all the way to the Lakeside station, alight and then take another train back heading east from there. In which case, you might as well live near Lakeside station, which is in Jurong West – incidentally, where I moved to from Mei Ling Street. The air stinks in Jurong, but at least there are cinemas there. So why would anyone pay $1 million to live in Queenstown? And then I noticed something. Which housing estate did Prince William and his wife Kate visit last week? It wasn’t Bishan or Tampines. The royal couple’s Singapore itinerary was made public on Aug 30, which provided more than enough time for the million-dollar deal to be made. Wayang aside, if only I knew of this itinerary 30 years ago, I would’ve urged my parents to stay put in Mei Ling Street – for someday, our prince (and his wife) would come and turn our humble home into a million bucks. I could buy 1,054 new iPhone 5s (without contract) with that kind of money. Going to the cinema is overrated anyway.